Jordan Clark and Michael Nallen met at a party in college where Michael's charm and wit had Jordan head over heels. The couple took a December trip to Colonial Williamsburg for Jordan's birthday where he proposed in front of a large mansion. Jordan says that her favorite part was when a man dressed in a colonial outfit took their picture. 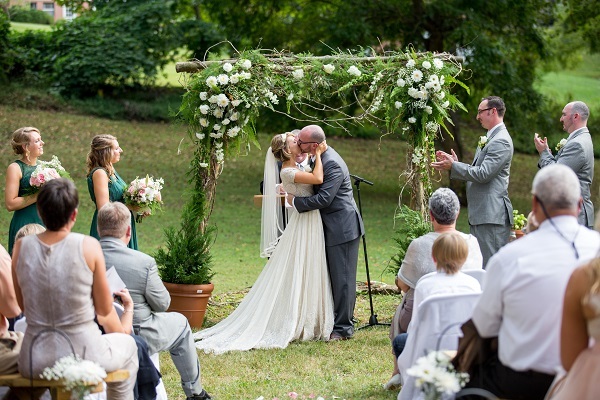 The couple rented out their venue for the entire weekend so that they could use it for the rehearsal dinner and Sunday brunch as well as the wedding. Some of the unique touches to the wedding include Jordan's handwritten calligraphy centerpieces, signs and other small details throughout the venue. 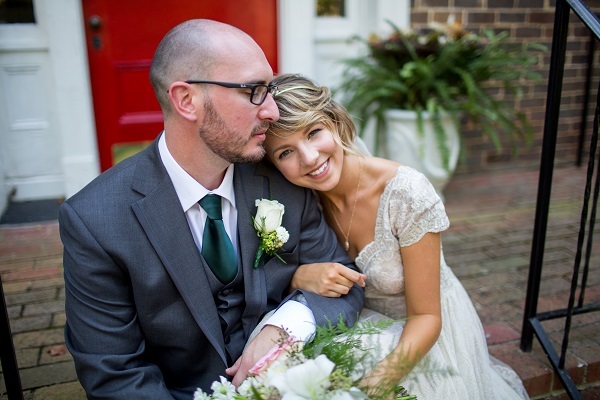 They also used biodegradable products and reusable mason jars for the reception, and recycled all of their flowers by taking them to a local nursing home. 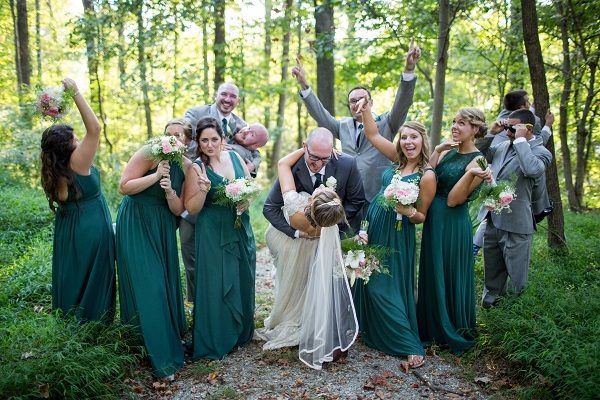 The bridesmaids also wore dark green dresses to match the groomsmen's ties, a detail that Jordan adores. Michael and Jordan spent months choreographing a dance to surprise their guests, and Jordan says that watching all of their hard work pay off is the best memory of the day! 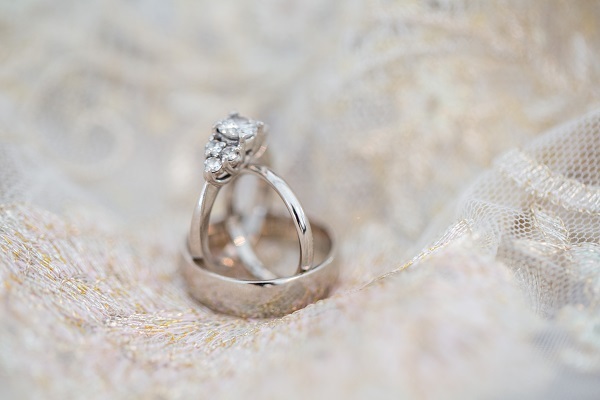 Make sure to see more of the Nallen wedding on page 103 of bridebook!